Browse: Home / r2kit – A set of scripts for a radare-based malware code analysis workflow. 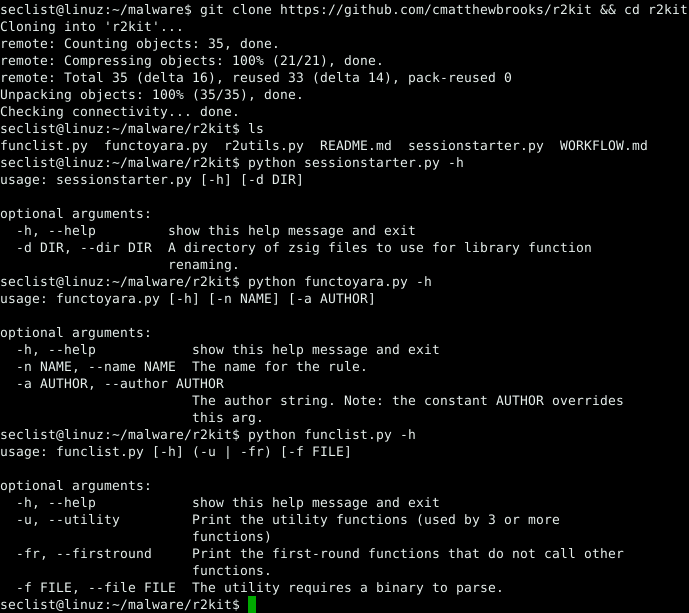 r2kit is a set of scripts to help with a workflow for malware code analysis using radare. 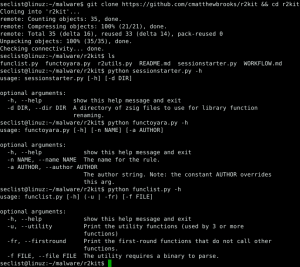 + sessionstarter.py – Run from inside an r2 session to auto rename imports, thunks, wrapper functions, and library functions. + funclist.py – Run from inside an r2 session or externally against a binary to list certain function types. 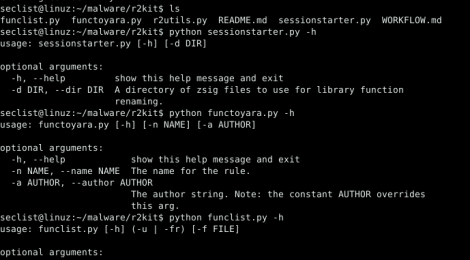 + functoyara.py – Run from inside an r2 session to create a YARA signature for the bytes of the current function. + Python 2.7.x and r2pipe Python library. besure radare2 has been install. ← Natlog is a utility logging traffic through a firewall doing source natting.